My Valentine Stamp Camp is THIS Saturday! I still have room for a couple more people - email me if you'd like to come. 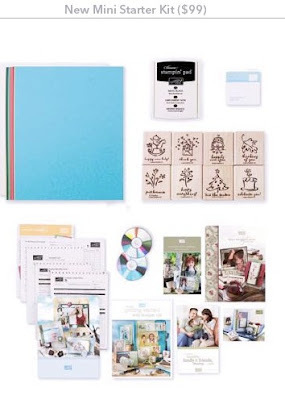 It is $25 and you get to choose from 2 stamp sets and you'll get to do 10 amazing projects (including a tin and 2 boxes)! Hope to see you there! Clubs start up in March! There is a Stamper's 10 that still has a couple of spaces open that need to be filled. And, of course, there are my on going Marker, Ribbon, and Ink clubs. There's no better time than Sell-a-bration to become a Stampin' Up! demonstrator. Until February 28th you can take advantage of an amazing offer - join SU! for the crazy low price of only $99!!! This price includes the mini starter kit with all the essential business supplies - perfect for someone who already has a ton of SU! products already! I wish this had been available a few months ago when I decided to start my business. If your stamping supplies are limited or you are just getting started, the traditional standard starter kit ($199) might be more your style. Either way, if you sign up during Sell-a-bration you get the precious Polka Dots & Paisley stamp set, not available to the public at this time. Additionally, if you sign up by February 27 I'll give you the Stampin' Spots from the color family of your choice as a gift from me. Email me for more information on how you can get great discount and enjoy tons of perks by being an SU! demonstrator.